If you are planning to begin your new life chapter by going to college in September, you should be already thinking about a list of dorm necessities that will make your university life comfortable and transition from home barely noticeable. By thinking about the things you might need in the long run at university, you will make your college time productive and you will be able to save some money on the run. Below we have created an exhaustive List of Dorm Essentials by taking into account the needs of a student at an average university where you are going to share your room with a roommate, and where you will have a bed with a mattress, a desk with a chair, a closet, a shared bathroom and a common kitchen. It is always a good idea to check with your roommate about the things he or she is also going to bring on campus to avoid duplicates (like a mini fridge or a coffee maker, for example) and to save valuable space. It is also worth verifying with your dorm about what things they will not let you install in your room to make sure you avoid penalties at the end of the year. The List has subcategories of things so that you orient yourself easier among all the stuff you need to pack. This is one of the most important sections in your list and it is worth noting down such things as cables or a plug adapter if you are considering to do an exchange program abroad. Although there are always numerous cafes and fast-food chain restaurants available on any campus, it is always good to have an option of preparing a healthy dinner yourself at a fraction of the cost! Moreover, by having some necessary kitchen essentials, you can easily invite friends for a dinner or prepare yourself a treat when you are doing an all-nighter! We are happy if you are planning on working hard during the semester, but still it might be worth agitating your parents for purchasing your Netflix or Amazon video subscription service. This might help you relax in the evening and present an occasion to invite your friends to watch a new series together at your place. You might also consider bringing a flat screen TV on campus to turn your room into a home cinema ! In terms of your personal care consider the following toiletries: toothbrush, deodorant, shampoo/conditioner/hair mask, razor, soap, shaving cream, lotions, creams, dental floss, comb brush, hair dryer and other hair appliances, flip-flops for the shower. 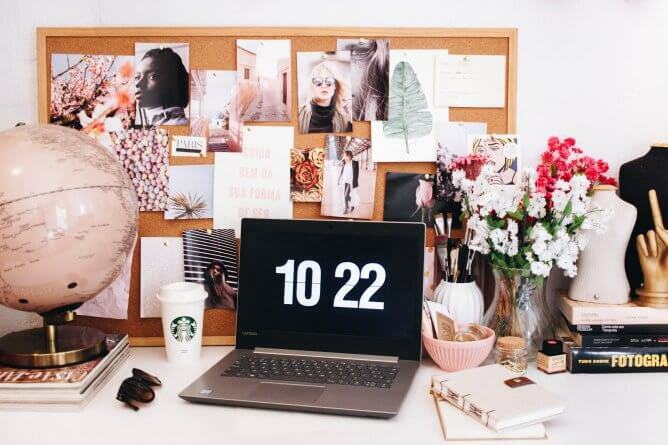 At the beginning it might look like you are going on around the world tour but trust us: these things will simplify your new life at college and guarantee happy and productive times there! It is definitely worth investing a bit of effort now, especially when you can get a hand from all your family! Categories: Uncategorized Tags: college student, college students, communication tips, dorm, Dorm Essentials, student, student life, student tips, student work, students, study habits, study help, study motivation, study tips, studying, university life Author: Dana M.
Previous Post Do You Have Leadership Skills?